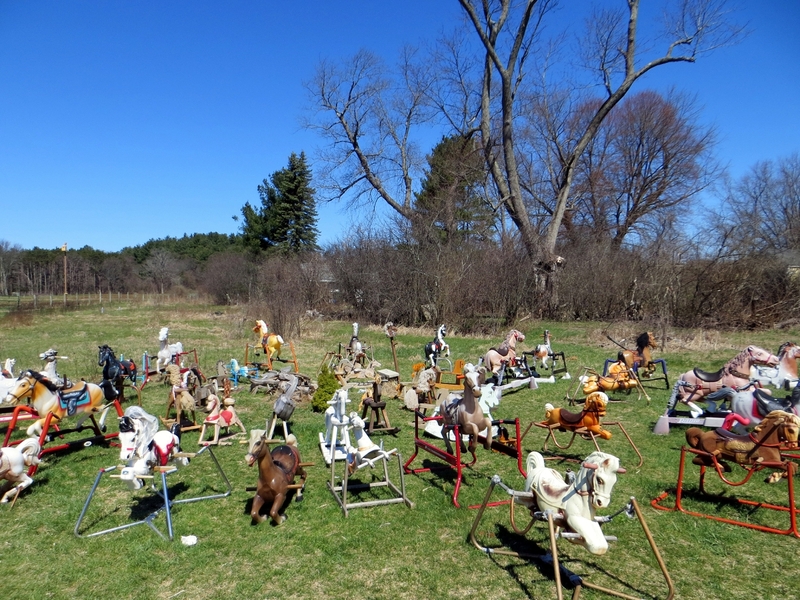 April 13, 2016 — I visited the Rocking Horse Graveyard at the wrong time. It was a crisp, sunny April morning. The grass was well-maintained. Joggers trotted by on the road. Farmland stretched around us idyllically. A single llama clipped grass in a paddock full of sheep across the way. 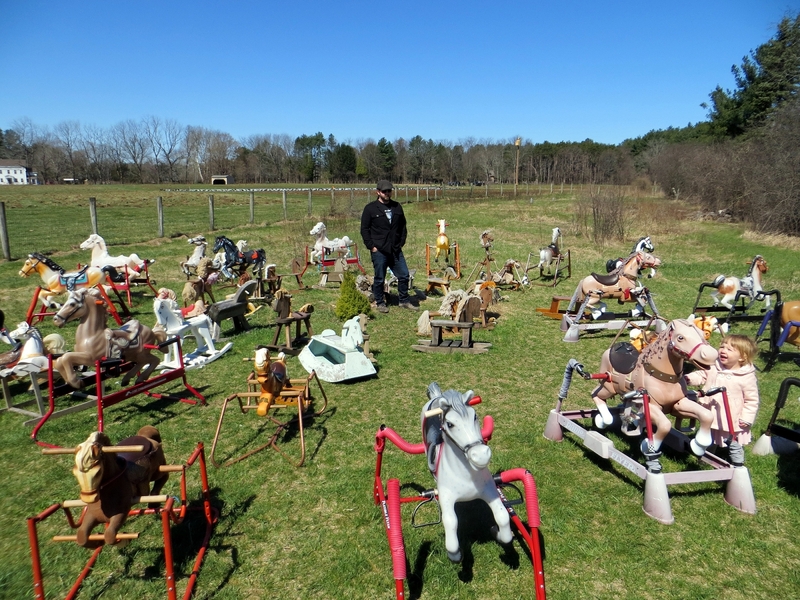 And my kids ran through the herd of wild rocking horses with utter joy. It should have been creepier. But that’s my fault. I should have gone on an autumn midnight, when each rocking horse cut black silhouettes into the blue night sky and brown leaves scrabbled by on the road. When it was windy, so that each equine jumped threateningly on its rusty, broken springs like slavering carnivores on weakening chains. 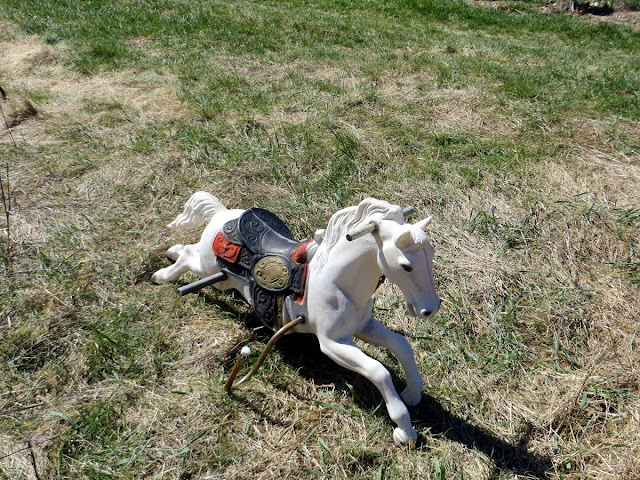 When it was overgrown, so that the horses seem less placed and more trapped. My kids should have been afraid to get out of the car. It’s astounding that something so simple as three dozen cast-off rocking horses could give off such Jekyll and Hyde sides with just a slight shift of context. The Rocking Horse Graveyard is a recent phenomenon that started five years ago or so. Still, nobody in the town of Lincoln knows how it began here in the patch of grass on Old Sudbury Road. Or, if they do, they’re keeping their mouths shut, like the town bylaws were written by Shirley Jackson. Like the one that says the horses mark the site of a previous lemonade stand, which the kids decorated with a couple of their rocking horses. When the economy crashed, the kids went back to earning in-game currency in Minecraft, but the horses stayed. And multiplied. 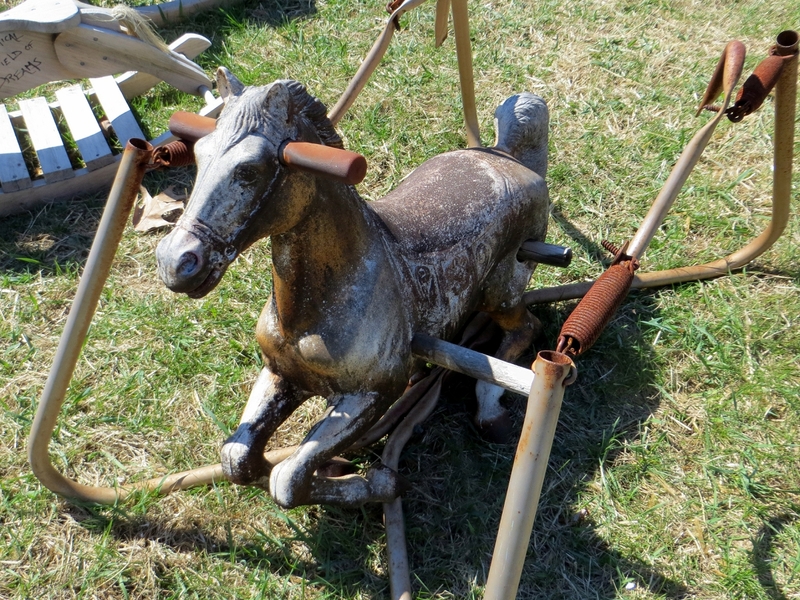 Or the one that claims that a single rocking horse had been set there as part of a Halloween display, ridden by a headless rider. Eventfully the rider disappeared, but the horse stayed. And multiplied. Or that they just started appearing. Somebody dropped a horse on the side of the road because he didn’t want to bother with the town dump. It caught on, and the horses multiplied. Actually, that last was sentence came from my own conscience, as I poked a single finger into my paunch to test its softness like I was testing the wind. 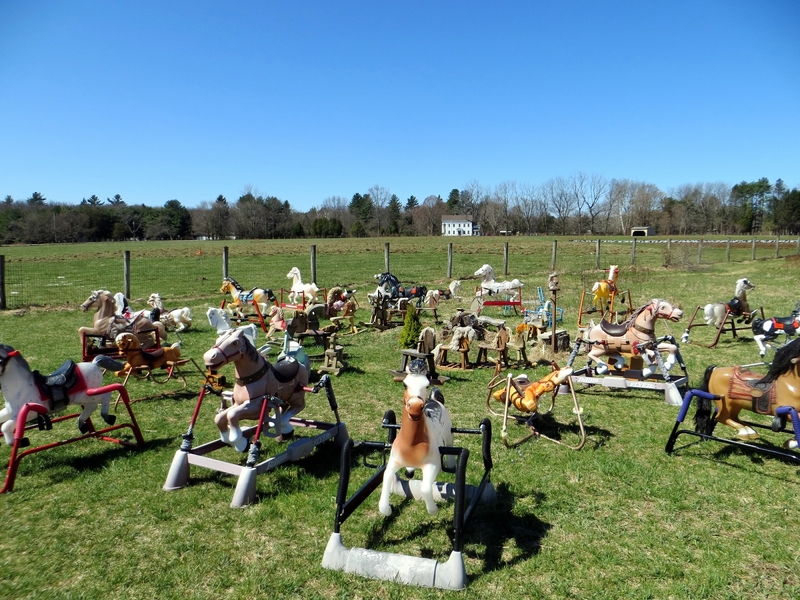 All the horses were facing outward from a central point on our visit, but every once in a while somebody comes along and rearranges them. 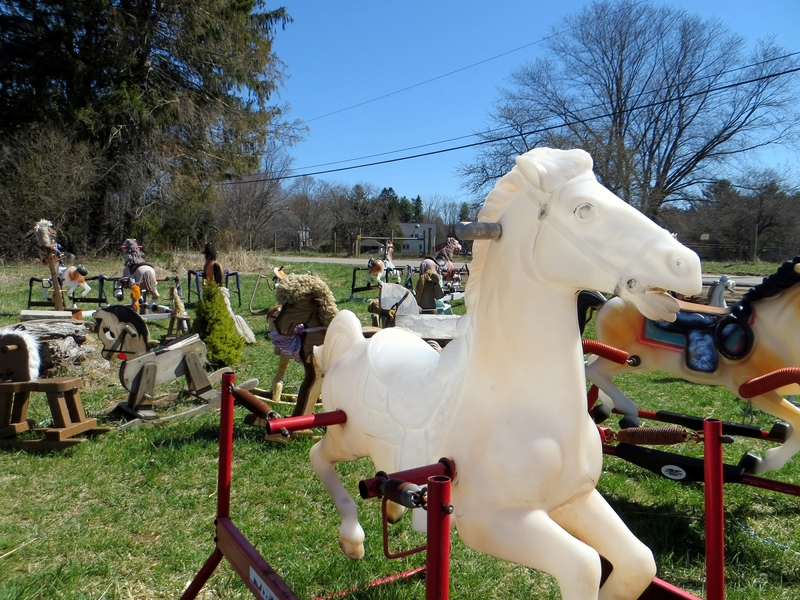 Sometimes they circle the horses up, which is how the Rocking Horse Graveyard got its other name, Ponyhenge. Sometimes they’re lined up like race horses. Sometimes they’re decorated for the holidays. 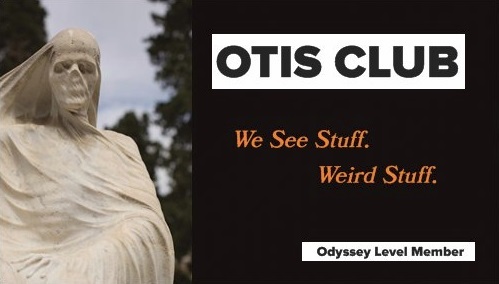 But they’re always there, like the ghost of a yard sale, cracked plastic and splintered wood and rusty metal, and each one giving visitors and passersby the side eye. So if you live nearby and have a rocking horse that your kids have outgrown, you know where to go. But be sure to drop it off at night. And don’t tell anybody. Ever.